Presented is a Pittsburgh Steelers home jersey worn by Brett Keisel during the 2012 NFL Season. The jersey was worn in a home game on December 16, 2012. 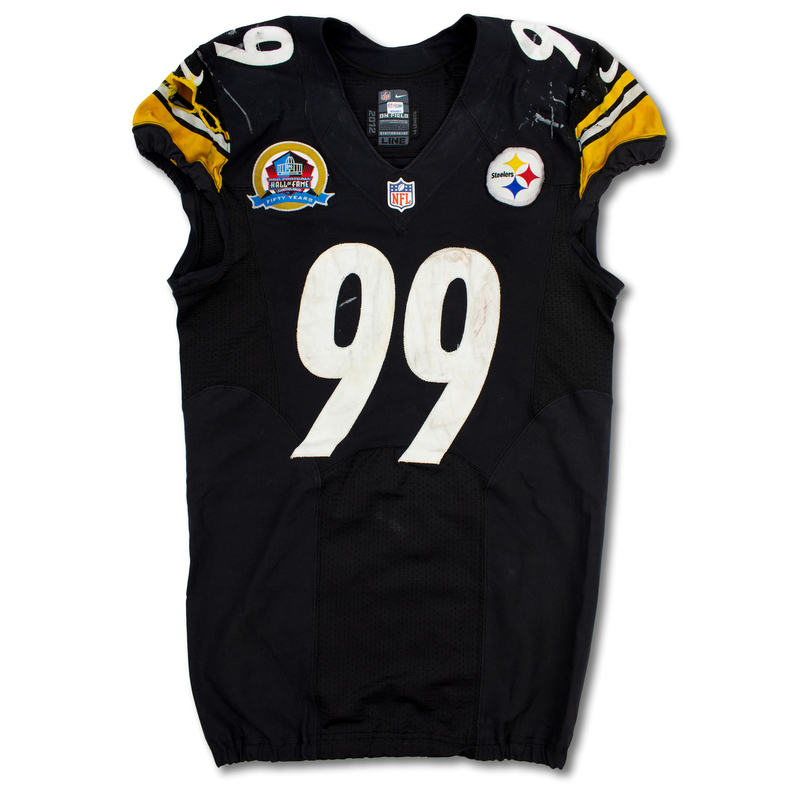 The jersey is authenticated to this game according to the NFL Auctions sticker in the collar which reads "N90891". The jersey shows absolutely incredible game use with hit marks, and several holes and repairs. The garment is tagged "2012", "LINE" indicating the date of manufacturing and the cut of the jersey. The jersey features a Hall of Fame 50th Anniversary patch on chest. 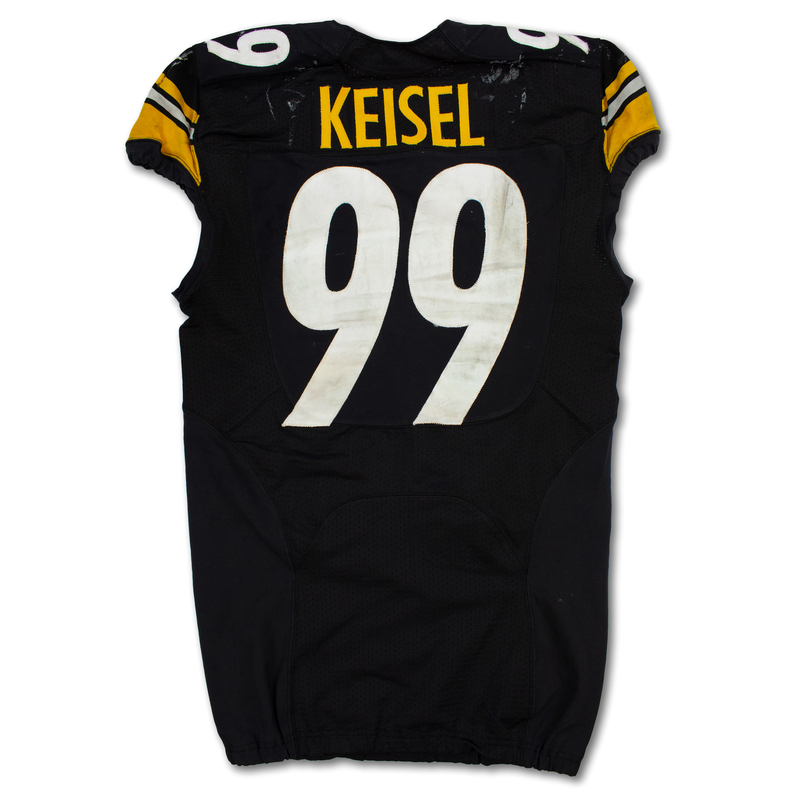 Keisel is a Steelers legend, which makes this jersey an amazing addition to absolutely any football collection.